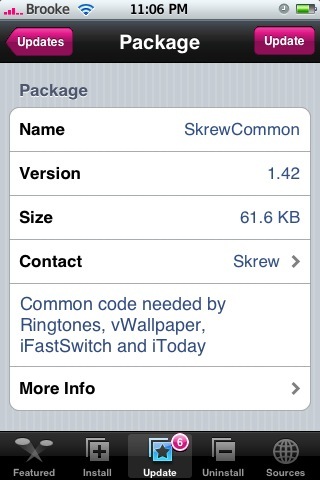 The update to SkrewCommon and iFastSwitch add an SSH toggle options to iFashSwitch however, it is not active. The developer says that it will be active in the next version of the application. Another helpful new feature in the update is that when you respring your SpringBoard, it adds a little red rectangle to your SpringBoard showing you where to swipe on your finger on your SpringBoard to bring up the iFastSwith overlay. 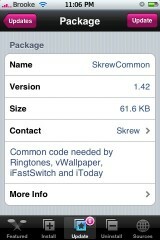 SkrewCommmon and iFastSwitch are available through the Skrew source. Video Demo: This video is of version 1.0, therefore does not include the festures in 1.2 of iFastSwitch. Watch “iFastSwitch” on your iPhone or iPod Touch.